the paperwhites have romantic souls, reaching every night for the moon. each morning i turn them and they begin that reach once more. i like the way they won't take no for an answer. they strive. they straighten throughout the day and reach for the sun, half moon pose when i go to bed, a total bow when i awaken. the day before the day before christmas. Beautiful. They are flowers after my own heart :-) And you are such a writer. Such. I wish you would write all the time so I could luxuriate in your wonderful poetry. 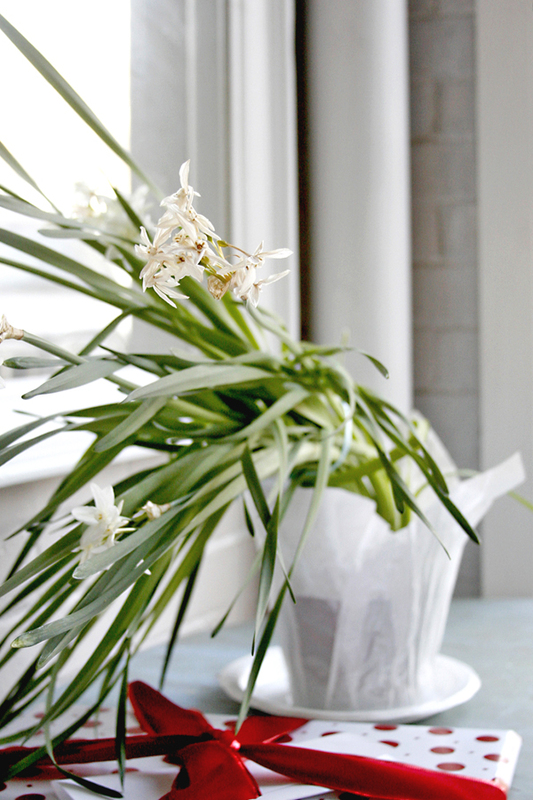 Pretty paper whites, pretty image; pretty soon to be Chistmas. My wish for you and for all of us is that we, like the paper whites, continue to straighten after each bend we may encounter in the days of 2016. Cheers.